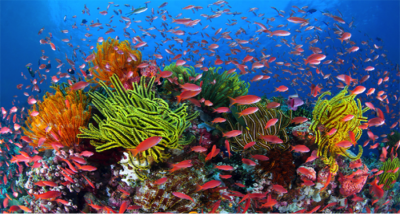 Global Alteration of Ocean Ecosystem Functioning due to Increasing Human CO2 Emissions. « This ‘simplification’ of our oceans will have profound consequences for our current way of life, particularly for coastal populations and those that rely on oceans for food and trade, » says Associate Professor Ivan Nagelkerken, Australian Research Council (ARC) Future Fellow with the University’s Environment Institute. « We know relatively little about how climate change will affect the marine environment, » says Professor Connell. « Until now, there has been almost total reliance on qualitative reviews and perspectives of potential global change. Where quantitative assessments exist, they typically focus on single stressors, single ecosystems or single species. The researchers found that there would be « limited scope » for acclimation to warmer waters and acidification. Very few species will escape the negative effects of increasing CO2, with an expected large reduction in species diversity and abundance across the globe. One exception will be microorganisms, which are expected to increase in number and diversity. Story Source: The above post is reprinted from materials provided by University of Adelaide. .